There will be one 5th Grade Parent Information Meeting for the purpose of informing parents and guardians about the Edmond Public Schools Growth and Development and HIV/AIDS Prevention Education Program. 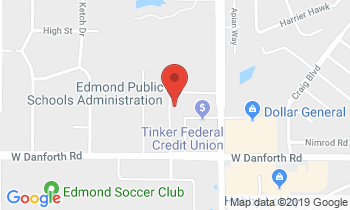 This meeting will be held at 5:30 p.m. on Tuesday, February 12, 2019 at the Edmond Public Schools Administrative Services Center, 1001 W Danforth. The HIV/AIDS Prevention Education Program is taught in grades 5, 7, 9 and 10. The 5th-grade program is combined with the Growth and Development curriculum and is taught by the Edmond Public Schools nurses at each elementary school. The 7th-grade program is taught by trained, certified science teachers at each middle school. The 9th-grade program is taught by trained, certified health teachers and the 10th-grade program is taught by trained, certified science teachers at each high school. At the Parent Information Meeting for 5th grade, a general overview will be presented to all parents. Parents will have the opportunity to learn more about the specific content and be able to view the materials used at the 5th-grade level. For parents unable to attend the parent information meeting, curriculum materials are available for review. The morning after the meeting, on Feb. 13th, reservations for reviewing curriculum materials and for checking out DVDs for a 24-hour period can be made by calling Kim Robison at 340-2278. In order for your student to participate in the HIV/AIDS Prevention Education instruction, a permission slip will need to be completed in correlation with the date your school will be presenting the material. Students who do not return the signed form will not be allowed to participate in this important instruction. For more information regarding the Edmond Public Schools HIV/AIDS Prevention Education Program or the Parent Information Meeting, please contact Ruth Zumwalt by phone at 340-2839 or by email at ruth.zumwalt@edmondschools.net.